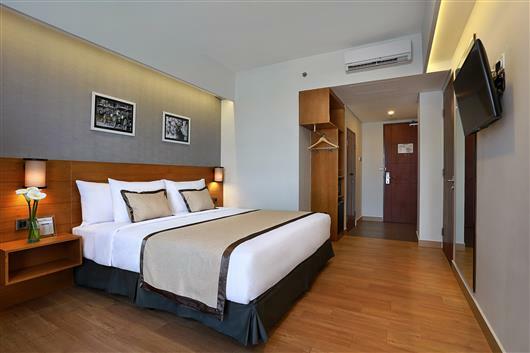 Newly opened in 2015 in the heart of the dynamic business district of Denpasar, this welcoming 3-star hotel is ideal for all your business and leisure trips to Bali. This modern Golden Tulip hotel is situated in downtown Jalan Gatot Subroto Barat, offering a strategic location with easy access to natural beauty sites such as Seminyak or Sanur. 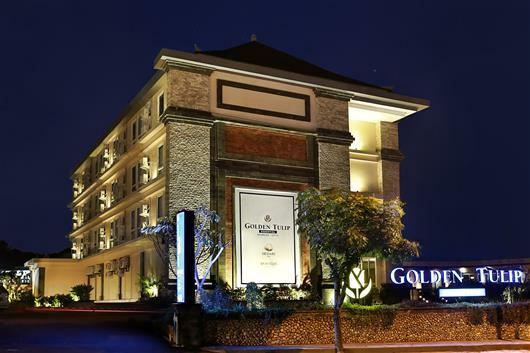 Enjoy the best of Balinese hospitality and world class services at the hotel Golden Tulip Essential Denpasar. 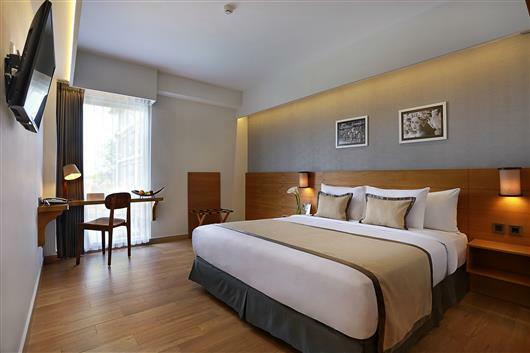 Housed in an elegant three-storey building surrounded by lush gardens, the hotel boasts 94 modern and comfortable guest rooms with full en suite facilities, free Wi-Fi, a restaurants, a lounge bar, a swimming pool, a luxurious Dedari spa and 6 modular meeting rooms. 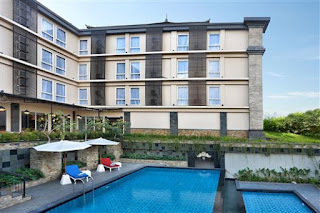 Only 15 minutes by taxi from our hotel, enjoy a great beach experience at fashionable Seminyak. This superb beach offers an expense of white sands stretching as far as the eye can see, and rolling waves ideal for surfers. Famous for its fabulous sunsets, this much sought-after destination is also the capital of high-end boutiques, trendy restaurants and bars. 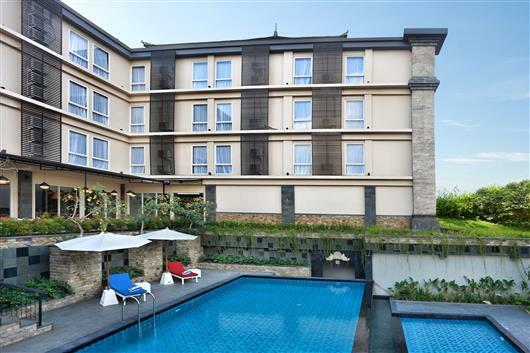 Another famous surfing spot just 40 minutes drive from our hotel, is the popular beach of Kuta, which is also a great destination for shopping, dining and partying. Ubud, the arts and crafts hub of Bali is 45 minutes by car or Taxi from the hotel. And Bali’s Bird Park, a large botanical garden which houses a population of 1000 birds of 250 different species, is 40 minutes by taxi from the hotel and offers a great day out for all the family. The hotel Golden Tulip Essential Denpasar sits in Jalan Gatot Subroto Barat, a modern business district in Denpasar, which is strategically located 30 minutes by car from Ngurah Rai International airport.